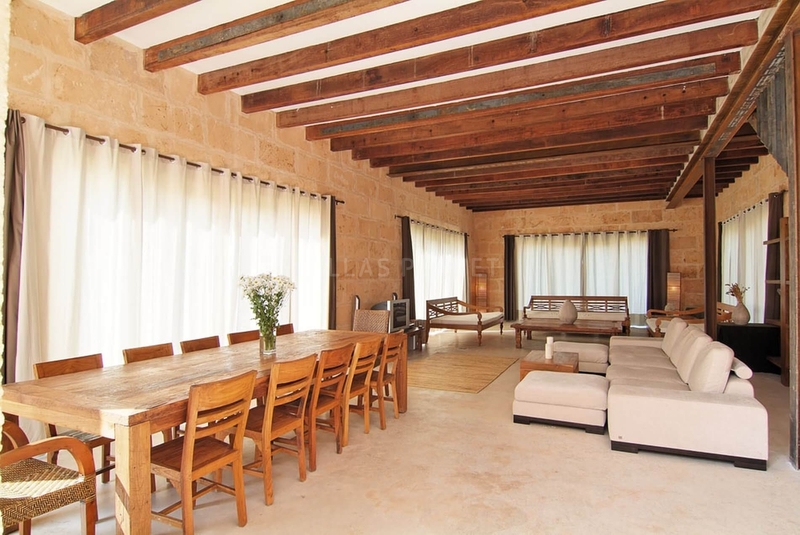 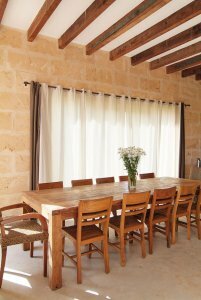 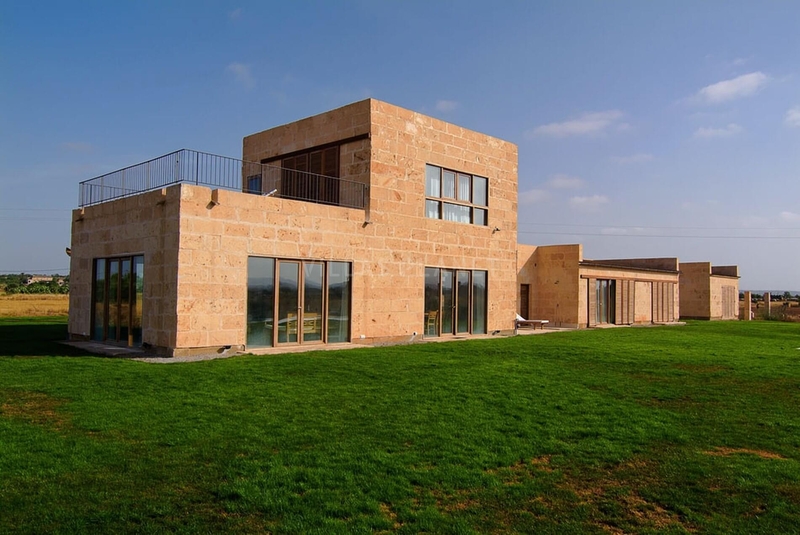 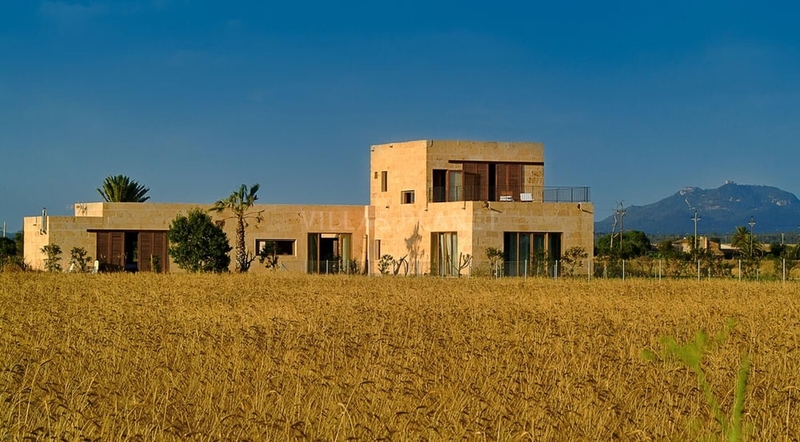 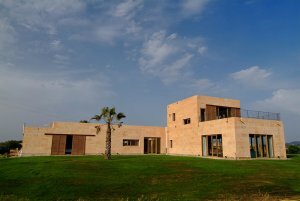 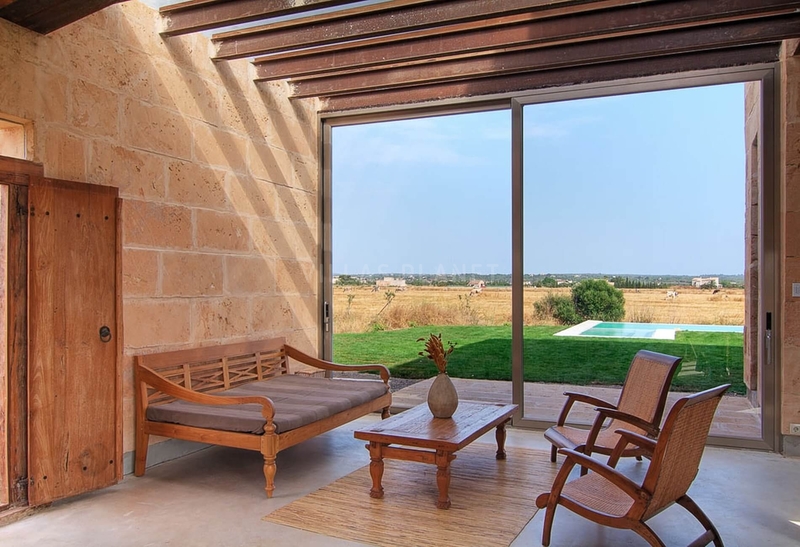 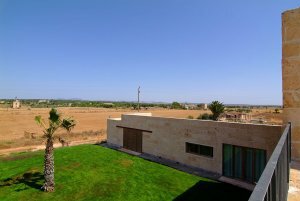 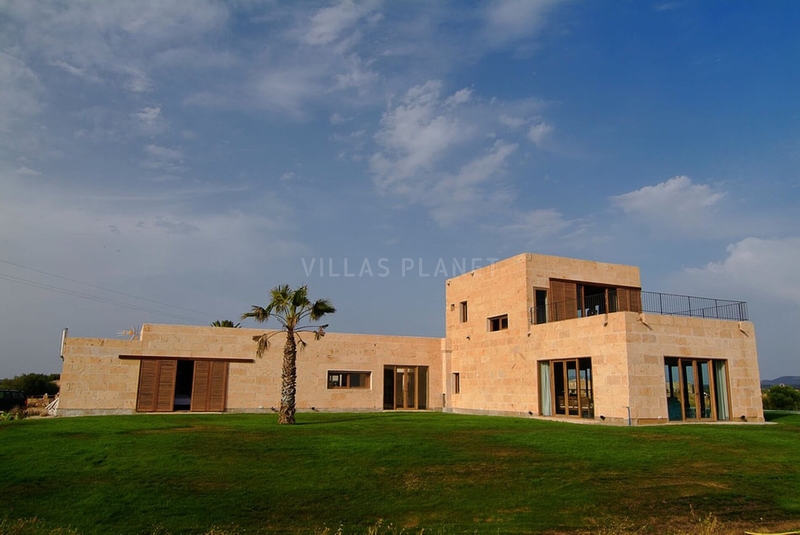 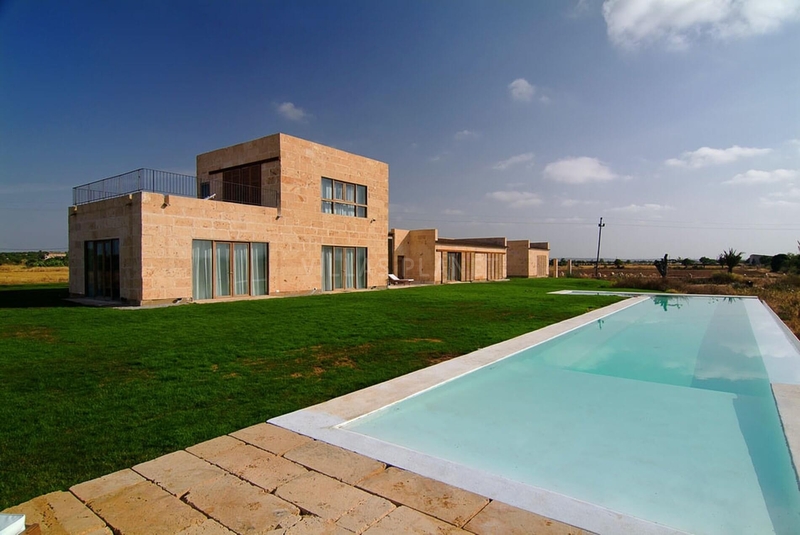 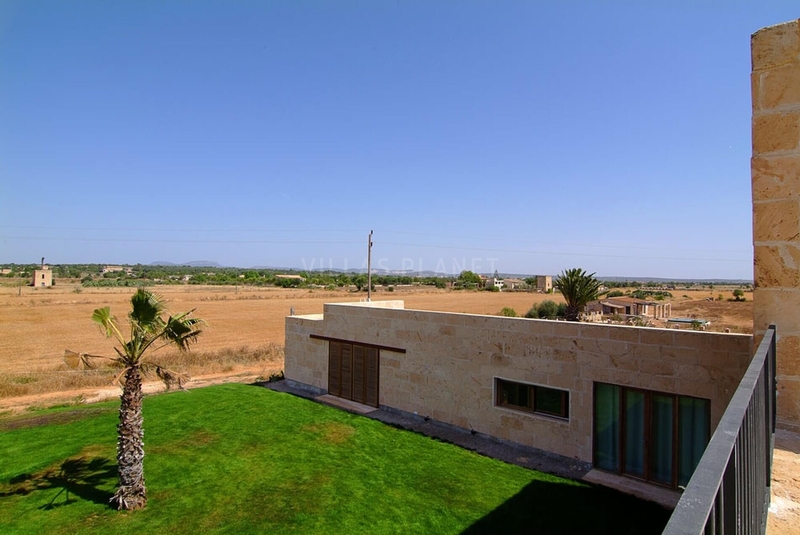 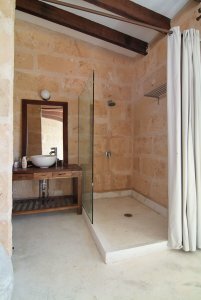 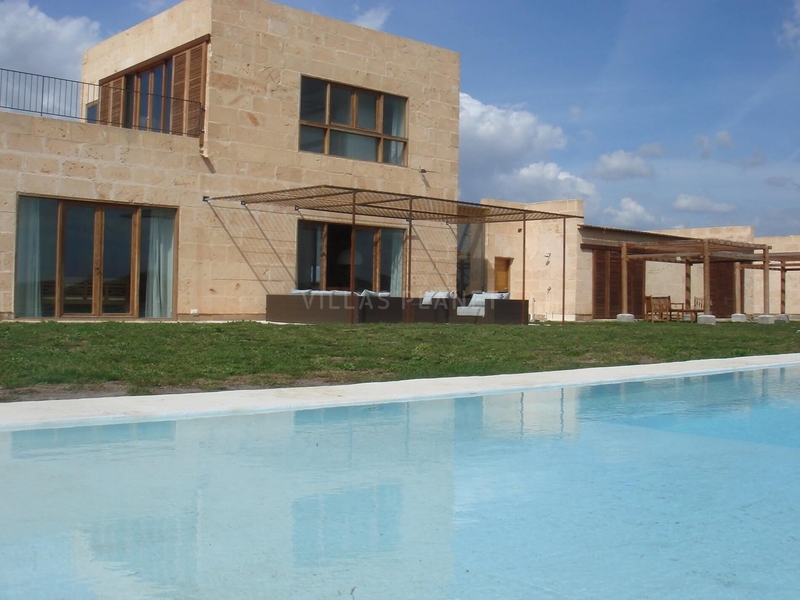 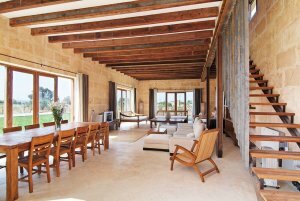 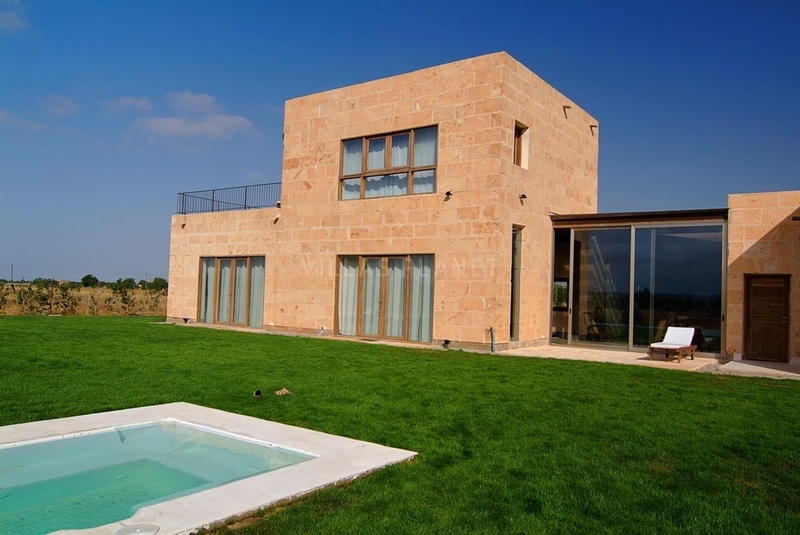 "Sa Gabina" located on an authentic Majorcan countryside in Campos council and a halfway to the Natural beaches of "Es Trenc", "Sa Rapita" and "Ses Covetes", enjoy a recently built property with all amenities in an avant-garde and personal Style. On a plot of 10.000m2, the house is surrounded by lawn gardens and with a very nice complete pool: "small beach" for little ones, "Walk-to pool (pool that you can walk for exercise or learning to swim), also hidro-Jets... 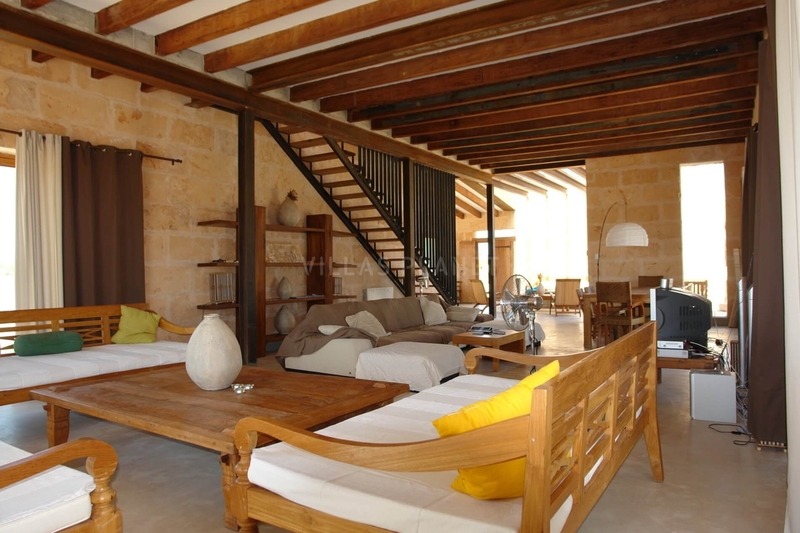 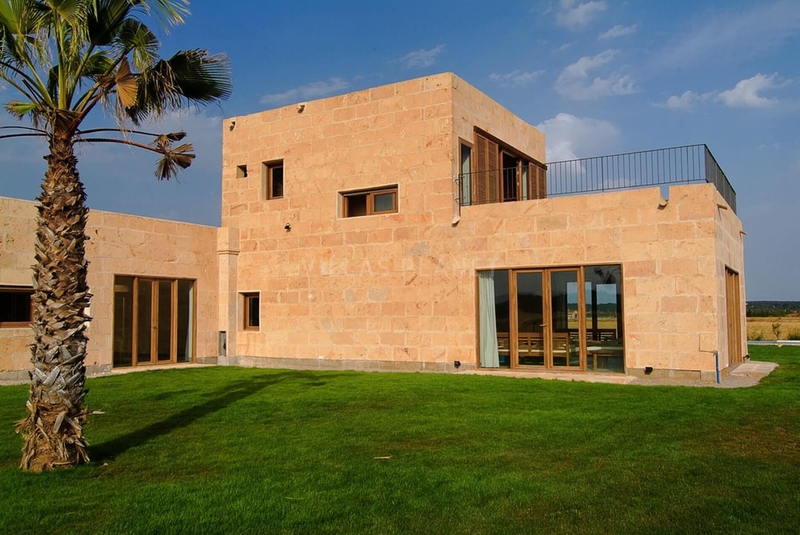 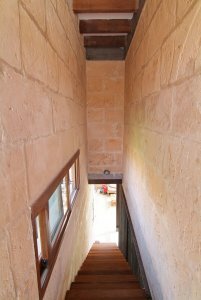 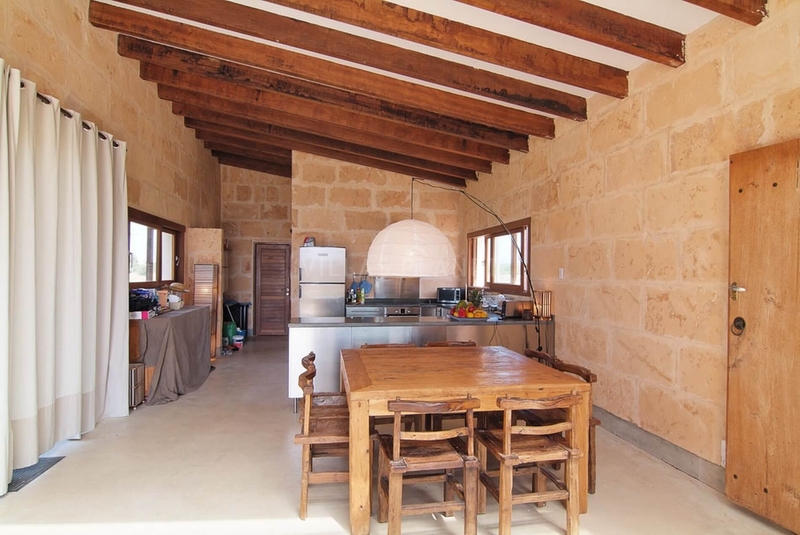 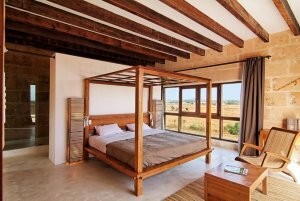 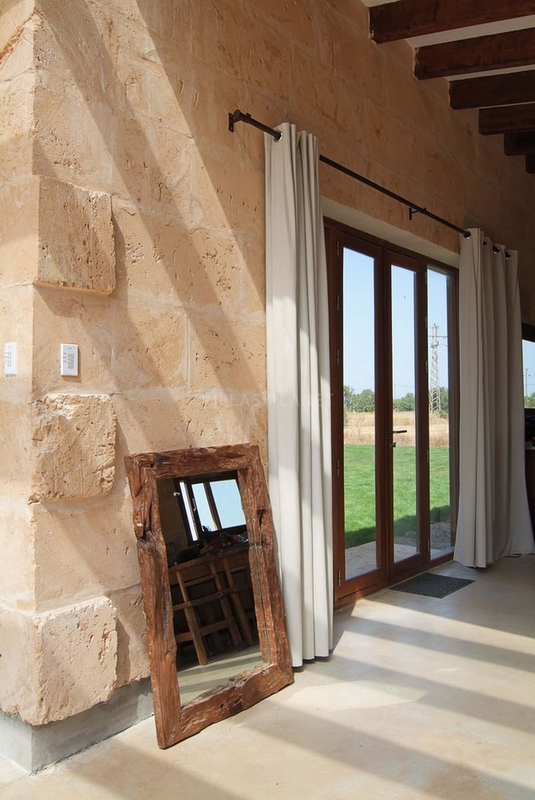 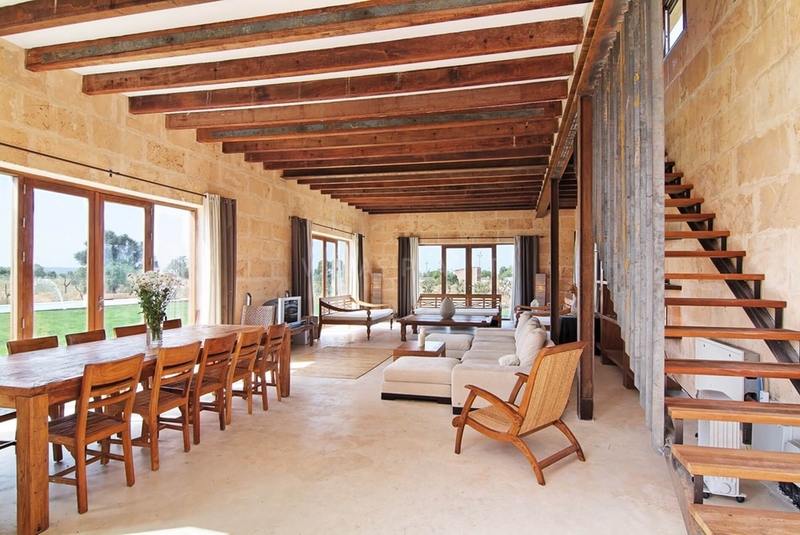 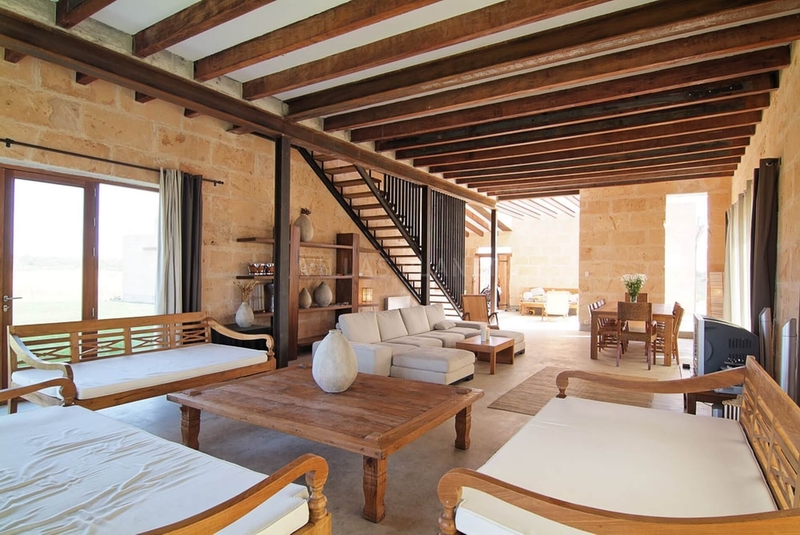 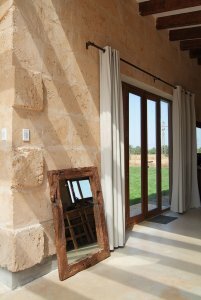 The main house has a loft style and at the same time rustic but in a distinctive way, pleasant and comfortable. On the foot of the garden there's a lobby-lounge that has access to the main suite at the top floor with private terrace with a great bathroom. 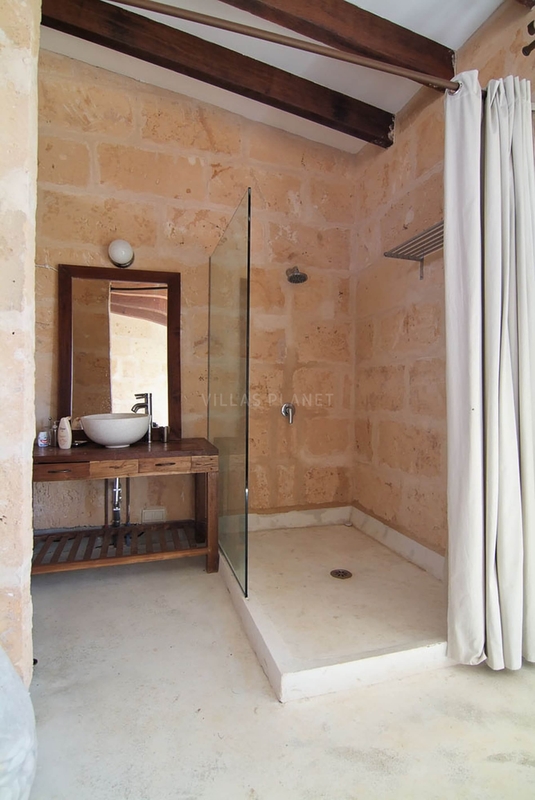 Also you will find at the ground floor a double bedroom with bath. The fully equipped kitchen, with household appliances of the latest generation is open to the dining room and terrace-garden where we find the barbecue, where you can spend a very pleasant evening with the peace and quiet of the countryside. 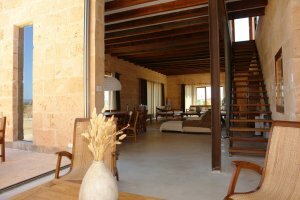 Separated from the main building with each his own access, has two double bedrooms , both with en-suite bathroom giving directly to the main garden where the pool is. These rooms are ideal to have an independent private space within the whole house.